Inactivated vaccine with oily adjuvant against pigeon paramyxovirosis. Pigeons (>6 week old youth and adults). For the prevention and control of: For the specific immunoprophylaxis of pigeon paramyxovirosis. Immunity is fully installed after 21 days after vaccination and lasts for minimum 6 months. 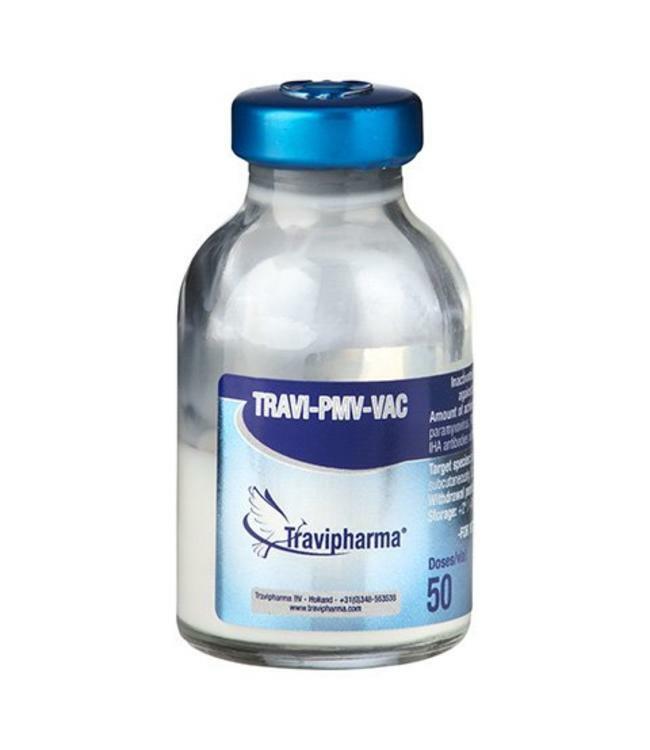 Contains per vaccine: Type 1 pigeon paramyxovirus PMV1-RO-96 strain, increasing the IHA antibodies with ?44 log2 UIH.